Over the course of the last year, I have been working to minimize the waste in our kitchen and be as efficient with uses as possible. 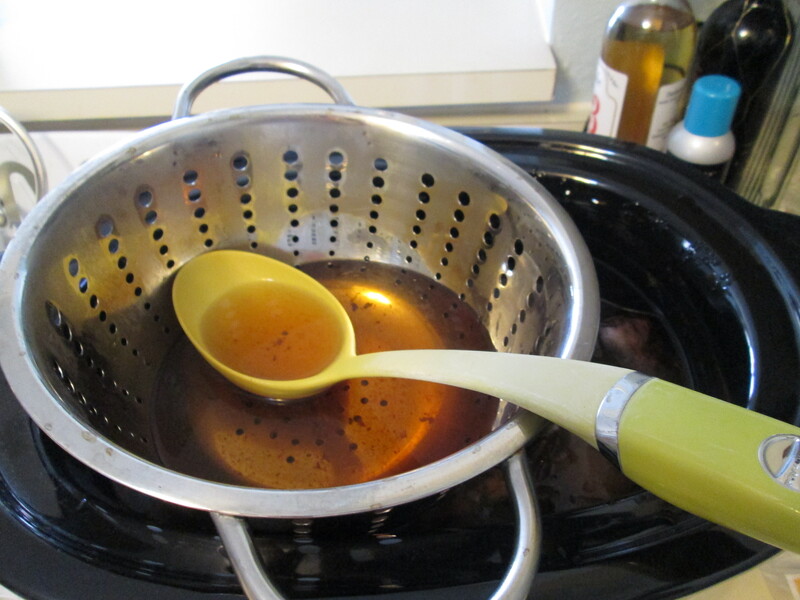 One thing that now seems obvious to me, but is super cool is making your own vegetable broth. I feel like I’m getting free food every time! You can see the steam rising off mine! These have already been cooking for a bit. Some batches have been larger and some have been smaller for me. Let it stew in there on low for about 8 hours. You can cook it longer if you’d like, but it’s unnecessary. At this time, you can also add in a bit of black pepper and salt if you’d like. The last step is to strain it and store it! It’s that easy! 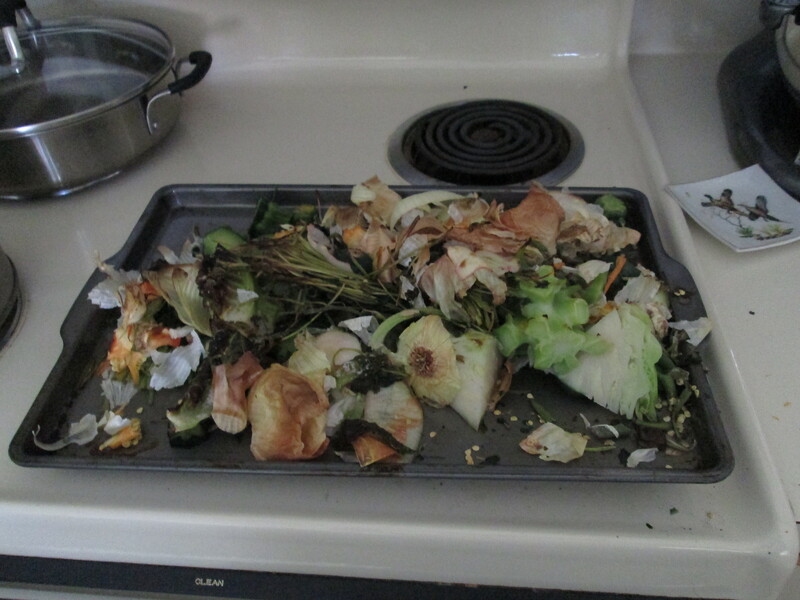 You can then compost the scraps or do whatever you normally do with them. You’ll want to keep your veggie broth in the fridge. To be super safe, use it in a week or so. I’ve used some that has been a couple weeks old and it’s been fine, too. 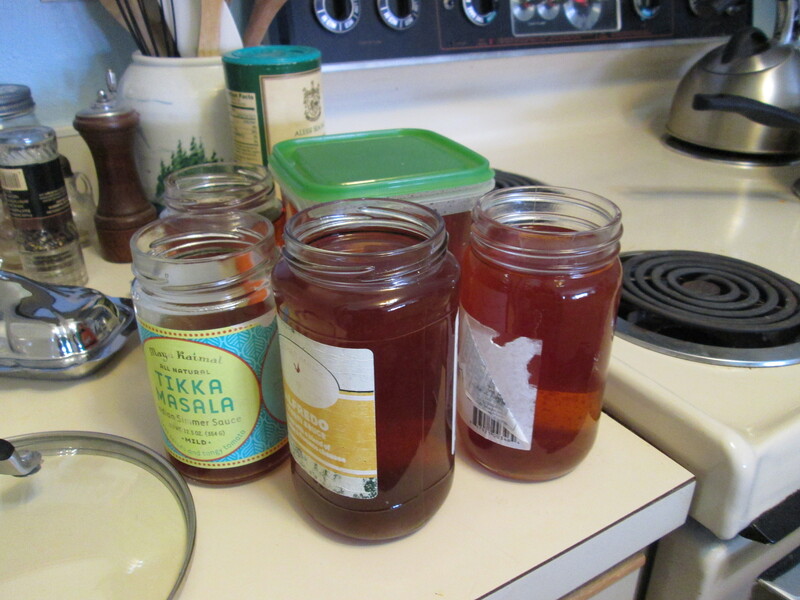 You may see some sediment on the bottom of your jars after they sit for a while. Tip: I’ve noticed that when I use my own veggie broth, I often have to increase the amount of salt I add to my recipe. It’s great because you can really control your sodium intake if you need to! If you’re feeling like it’s tasting funny (keeping in mind that every batch may taste slightly different depending on your scraps), I’d try adding salt first. That sounds so easy! I feel like a fool for all the unused scraps in my compost pail. It’s super easy! 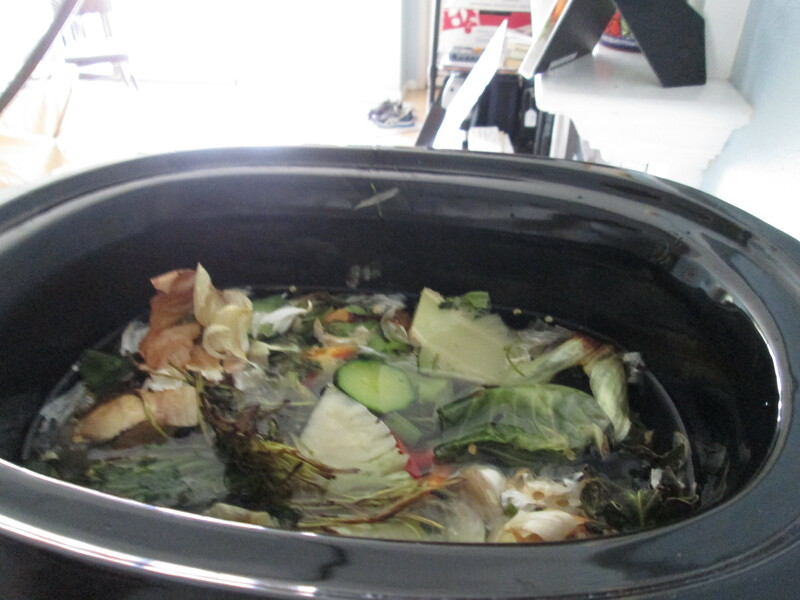 You could always use your scraps for broth and then compost them afterwards if you wanted to. of course, the compost is the end game!